Czech Republic toll free numbers (also known as Czech Republic free phone numbers) allow your business to advertise a number that is free for your customers to call. 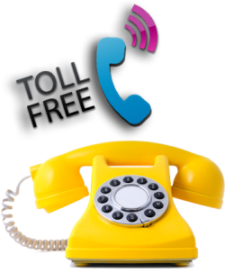 Czech Republic toll free numbers can be diverted to any landline, mobile phone or IP address. The service is ideal if you have a customer base who you want to support or if you want to attract customers in Czech Republic to your business. Czech Republic toll free numbers are inexpensive to set up and service and they are a more cost-effective option than opening an office in Czech Republic and taking on additional staff. Forward calls from Czech Republic Toll Free number to anywhere in the world. You own the Czech Republic Toll Free phone number with no contracts. This will be your own personal Czech-Republic Toll Free virtual number (DID number). Forward Czech Republic Toll Free number calls to a regular phone line for a very low rate. Great for travelers who need a temporary Czech Republic Toll Free virtual phone number. Why would you need a Czech Republic Toll Free Phone Number? Buy a Czech Republic Toll Free phone number and talk to customers you never thought you had. Buying a Czech Republic Toll Free virtual number is one of the absolute cheapest ways you can stay in touch with customers or potential clients. You can forward the Czech Republic Toll Free virtual number to a VOIP solution (Unlimited Minutes). Now you can have a local Czech Republic Toll Free number for friends and family to call you on directly. Friends and family can call you as if it’s a local call for them (ie: on the Cheap!). You can forward all the calls made on the Czech Republic Toll Free phone number to Gtalk or VOIP for free and with unlimited minutes or to your cell phone or landline for an additional low per minute rate. Buy a Czech Republic Toll Free phone number and forward the calls to wherever you’d like. One example would be if I went to the country of my Czech Republic Toll Free Number and had family in NY, I can call my Czech Republic Toll Free Virtual Number which is local for me while I’m in this country and have the calls forwarded to my NY family. Buy Czech Republic Toll Free Phone Number Now!